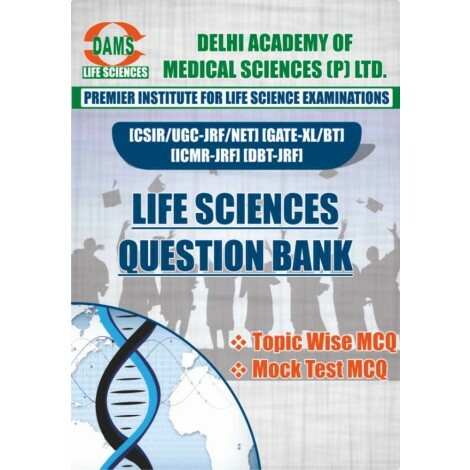 DAMS LIFESCIENCES presents Life Sciences Question bank for all Life sciences candidates. We have developed this Question bank to ease your entry into the exciting world of Life sciences. 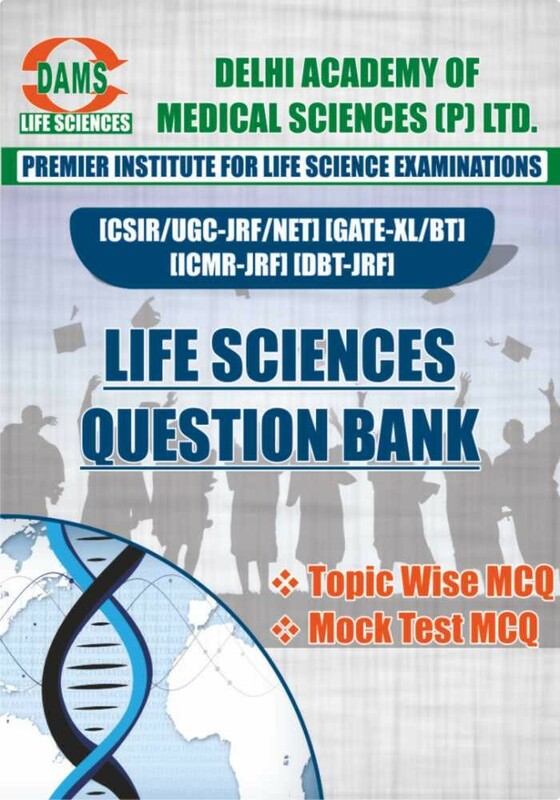 Our goal is to make you know and understand the pattern of questions in Life sciences Examination. This practice material is for applying the learned concepts and refine the partial concept. 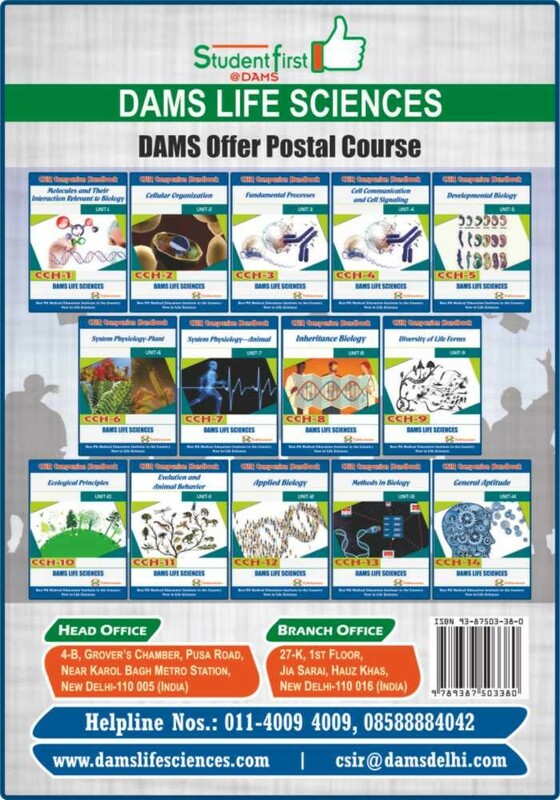 Its constant reading and deep understanding will significantly improve the performance of students in the examinations. This Question Bank adhere to the latest syllabus and cover the entire syllabus. Questions are systematically divided in chapters like FUNDAMENTAL PROCESSES, DEVELOPMENTAL BIOLOGY, PLANT PHYSIOLOGY, INHERITANCE BIOLOGY, APPLIED BIOLOGY, ECOLOGICAL PRINCIPLES, DIVERSITY OF LIFE FORMS etc. Each chapter in this book consist multiple choice questions ranged from simple (fact based) to complex (analytical) nature. The questions in this collection were taken from almost arena of Life sciences like introductory biology to modern current techniques. Some of the already listed questions have been used to make it more effective. Questions have been framed considering the gray area of different examinations. The questions reflect the deep expertise of subject teachers who have a long experience in helping students and perform well in their respective fields. Question with valid explanation is presented to refine your knowledge and concept. Question bank provide a added opportunity to aspirants to check which kinds of questions that will be asked in different examinations. Next, reading the explanations will help direct you to the essential concepts. You could now take the Self-Test to check your ability to recall and apply what you have learned. Finally, solve the Problems, which have been designed to further test your ability to apply the knowledge you have gained. It is not sufficient to read the problems and look at the answers. To develop concept and analytical ability you need valid and concrete explanation. For real time practice five solved mock paper have also been incorporated which are based on previous papers patterns of CSIR UGC NET/JRF- Life sciences examinations. We wish our efforts will notably improve your performances in different Life sciences examinations.